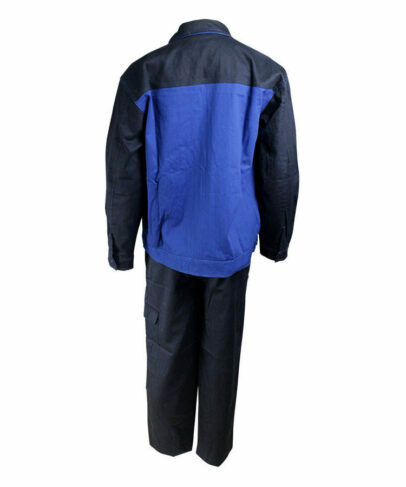 This navy & royal blue flame resistant two-pieces coverall made of 280gsm cotton flame resistant fabric, and can meet EN ISO 11612, NFPA2112 and other standards. 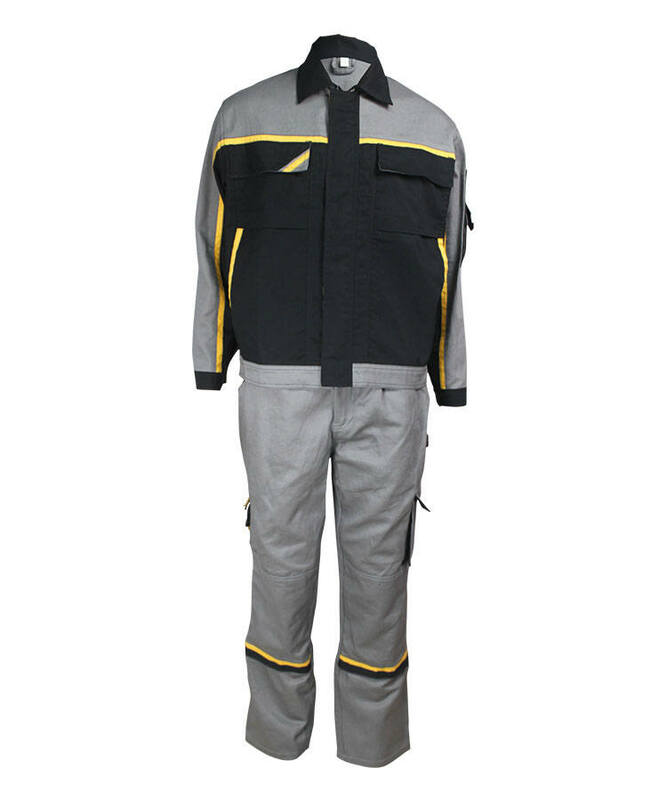 This flame resistant two-pieces coverall has the effect of self-extinguishing with no droplets, char length can be controlled within 10cm, soft touching, good strength, good wear resistant property. 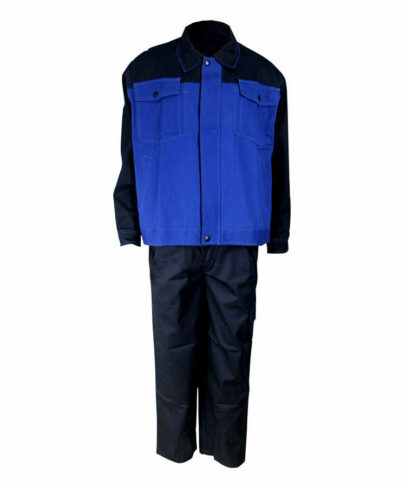 This flame resistant two-pieces coverall has good breathability, and it can resist more than 100 times washing. 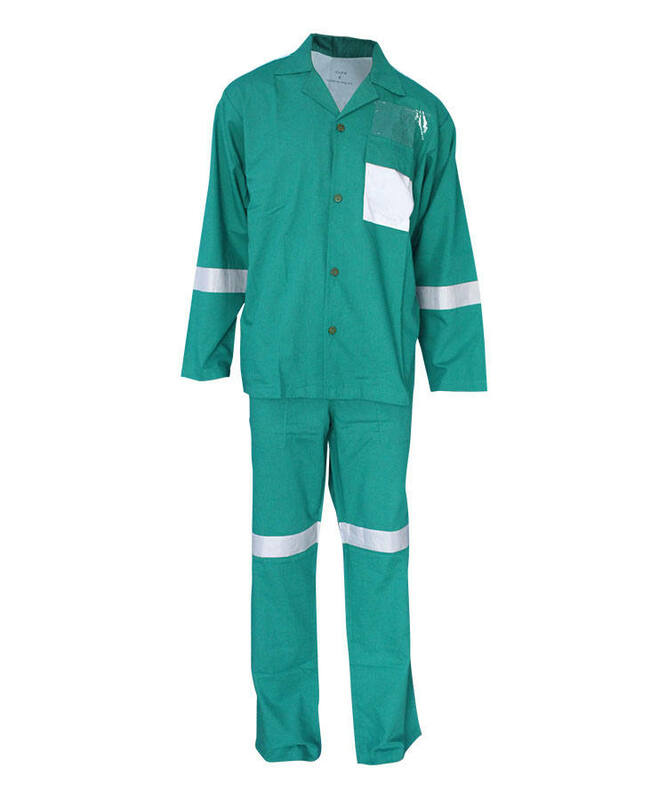 This flame resistant two-pieces coverall can protect the workers from heat and flame. 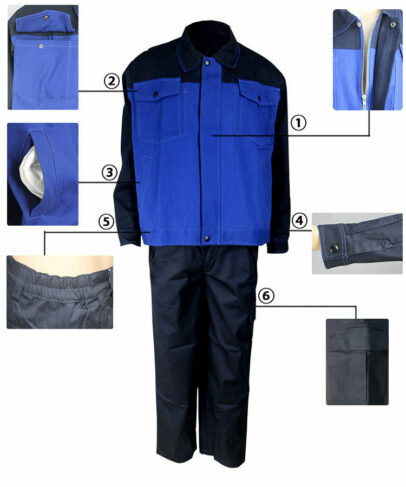 In addition, the flame resistant two-pieces coverall color can be customized. Front fly closed by zipper, snap button on wind proof. Patch on chest+pen pocket+snap button on flap. Two slant pockets on waist. Pleat on furcal sleeves, then sewing sleeve cap, closed by snap button. Five loops on waist, waist band is closed by snap button. Patch with flap is on left side seam, snap button. Contrast on front&back parts,double visible stitch on joints and muffs. Pleat one on left&right hem of the back part,comfortable. Basic fabric on cuffs,collar and windproof leans 3cm out of edge. 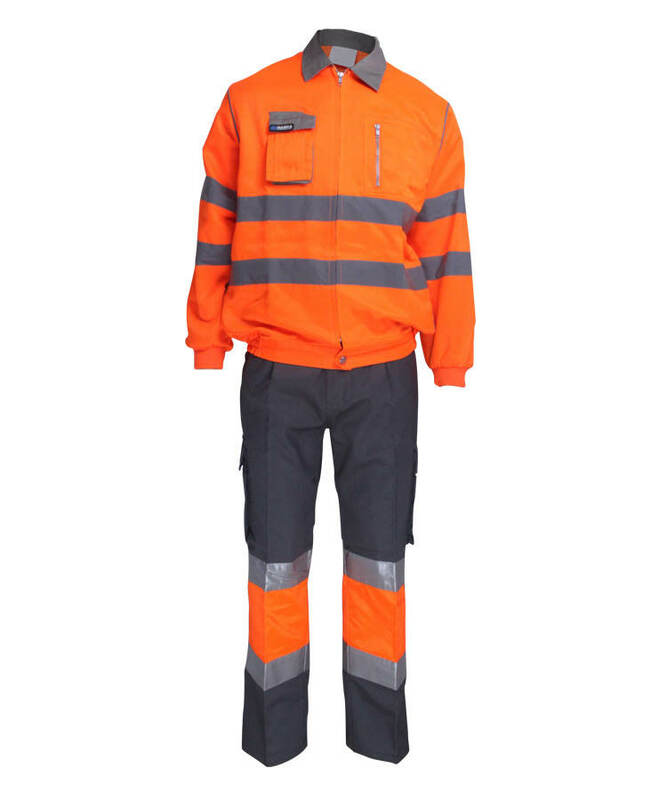 Slant patch on pants, cover 0.6cm edge. Movable pleats on left&right of the front part. 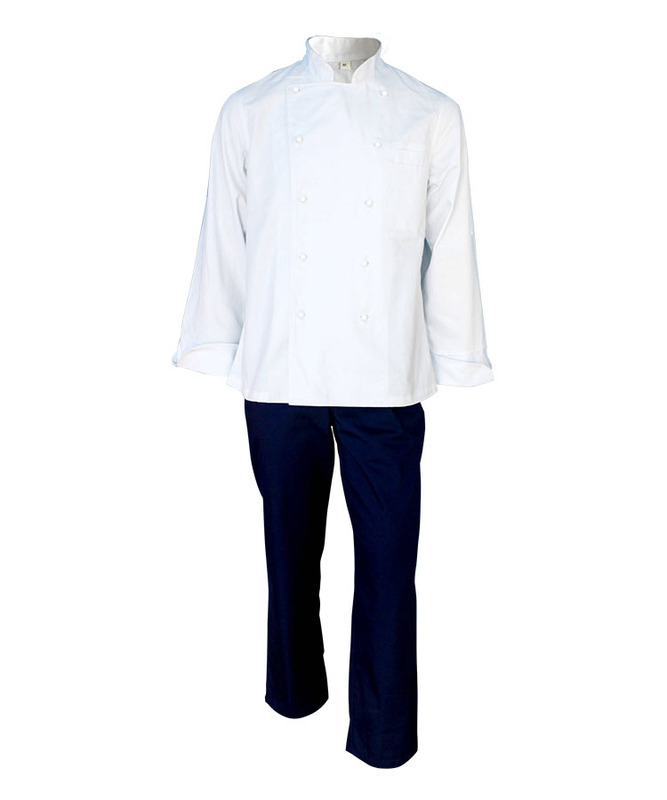 Two plate pockets on hips closed by snap button. Front opening closed by zipper.